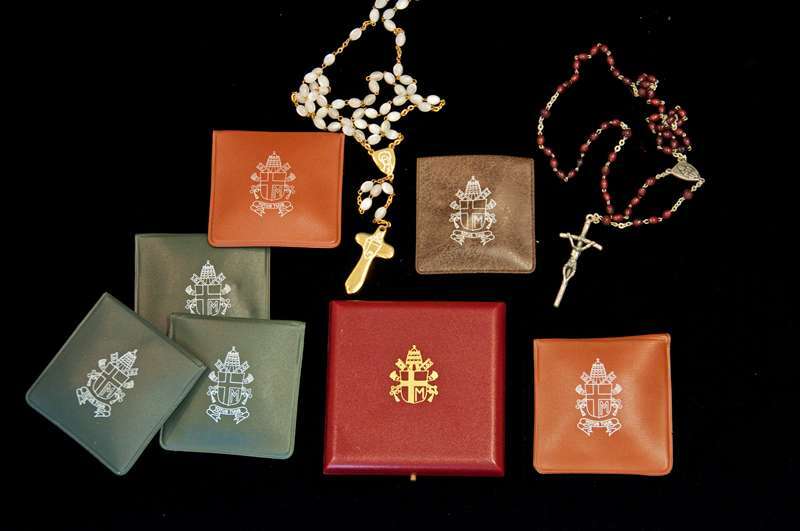 These seven rosaries, all gifts to Father Richard Kunst from Pope John Paul II, were directly given to him, except for one. The first was a gift from Bishop Rober Brom who was given the rosary by Pope John Paul II on the occasion of his ad lumina visit. Bishop Brom was the former bishop of Duluth, Minnesota. He is now retired. Papal Artifacts honors the Mother of God on this, the feast of her birth.